Adorama has recently released a new portable battery pack under the Flashpoint brand. Adorama, the US photographic supplier, has recently released a new portable battery pack under the Flashpoint brand called the Blast Pack Portable Battery BP-960. The unit has interchangeable, 4500mAh lithium modules called Blast Packs. Each one is capable of powering 1800 full-power shots per charge, with a two-second recycle rate. The battery pack comes with dual power plugs so you can power multiple flash units. 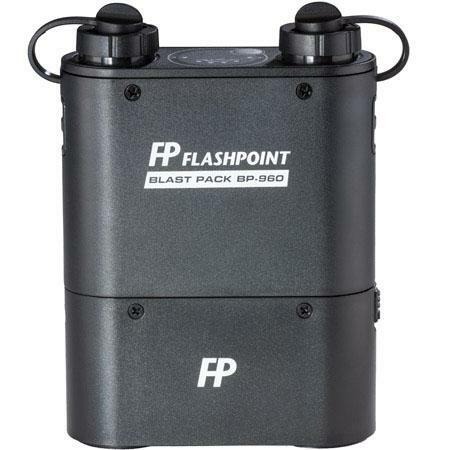 Flashpoint’s Blast Pack Portable Battery is available now from Adorama for $249.95. More detailed information can found on their website. Ricardo Gomez is a photographer based in New York City who specializes in fashion and portrait photography.